Notes: Experimental piece that appears to have the top of a CD 128 and the body of a Hemingray - 45 (CD 155). Only two compete aqua units are known and part of a emerald green one from the Hemingray dump. 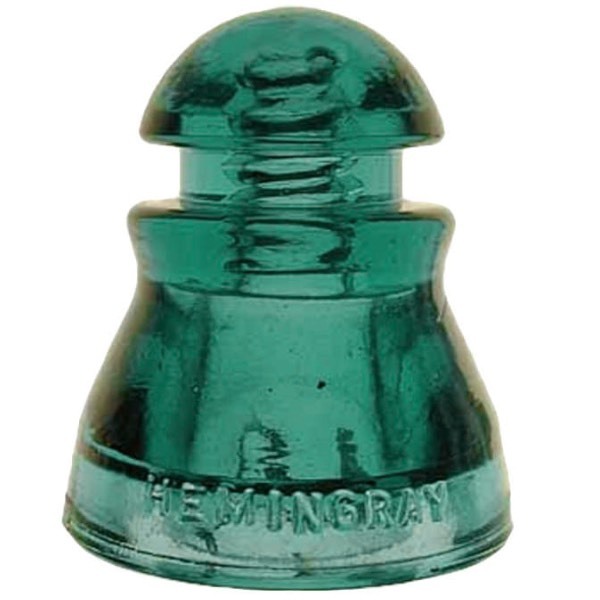 This insulator has carrier circuit style threads like the CD 128.